Gestalt Publishing sent Major Spoilers information regarding the upcoming werewolf story, Torn by Andrew Constant, Nicola Scott, and Joh James. Torn is a disturbing action-horror story written by talented newcomer Andrew Constant, and featuring the illustration talents of Nicola Scott and Joh James. 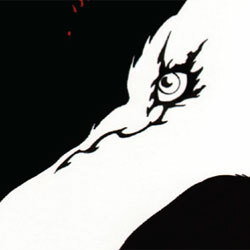 Torn tells of a wolf infected with the most aggressive virus the world has ever seen -humanity – and chronicles his attempts to reclaim the life he once knew and escape the cycle of tragedy. 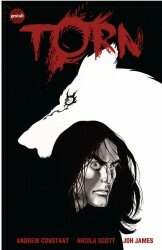 Andrew Constant makes an impressive debut with Torn, a story that will make you believe horror comics still have teeth. Nicola Scott is the superstar Australian artist whose work includes Wonder Woman, Secret Six and Birds of Prey for DC Comics. Joh James’ chaotic style is bursting with energy and unspent rage, perfect for the horror genre. His work includes I.C.E. From 12GaugeComics and Daddy’s Little Girl, a short story published by Marvel. Torn is 120 pages and has a $12.95 cover price. I heartily endorse this! I was really bummed that Nicola Scott wasn’t on the DC roster this fall. Not only do I get more of her work now, but as I’ve never read any of Andrew Constant before this is a good start.